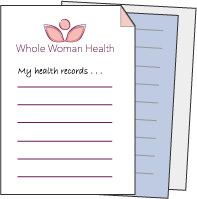 Many patients combine their visits to Whole Woman Health with an opportunity to avail themselves of some of what the Mid-Coast Maine area has to offer. Known for its spectacular natural landscape and seascape, the region is home to a variety of activities. Open between April and December, this seasonal, country-style B&B is a minute’s walk from Pemaquid Art Gallery and four minutes’ walk from Pemaquid Point Lighthouse Park. Features 16 refined rooms, cooked breakfast served daily, complimentary afternoon tea, an upscale seafood eatery, a nautical-style wood-paneled tavern, and spa services. Refined rooms in the main inn and an adjoining carriage house, feature free WiFi and private bathrooms with designer toiletries. Some offer flat-screen TVs, gas fireplaces or stoves, and/or private decks. Suites add separate sitting areas. Many rooms overlook the Damariscotta River. Hot breakfast is served each morning, and there’s a guest pantry offering complimentary drinks and snacks. Other amenities include a pub, elegant sitting rooms, a deck, and a screened porch with garden and river views. Located in the heart of Mid-Coast Maine, this charming & inviting Bed and Breakfast offers clean and well-decorated rooms, a good night’s rest, and home-cooked meals. With Damariscotta Lake in the Inn’s backyard, eagles, osprey, and heron fly above while loons call across the lake. Mill Pond Inn also offers access to swimming, great fishing, complimentary canoeing, kayaking, and birding from its dock, or you can relax in the shade with a good book. Upscale yet unfussy spot for refined seafood and a notable wine list in warm, brick-walled digs. Exposed brick & wood timbers are a traditional backdrop for classic tavern fare and a range of ales. With each meal we serve, we strive to bring the truly authentic flavors of exotic Thai cooking to Damariscotta. Best Thai showcases the abundance of fresh produce, as well as ecologically farmed meat and poultry found at farms around the area. Enjoy the Hardy III with your friends and family for a nature cruise or a special celebration, including Puffin Cruises and trips to Monhegan Island. Glimpse life in the Gilded Age with a visit to this 1807 mansion. Highlights include a Victorian parlor and kitchen with four generations of technology still in place. Built by a sea captain, Nickels-Sortwell House became a summer home, decorated in Colonial Revival style with fine antiques. Enjoy a sea kayak tour on Muscongus Bay or improve your skills with kayak lessons. Located in the quaint village of Damariscotta, the “kayak shack” is the place to go to reserve a tour or rental, and to gear up on essential kayak equipment. Discover stunning ornamental gardens and exceptional natural beauty, waterfalls, and incomparable stonework and sculpture. Miles of trails allow you to experience waterfront and woodlands that are quintessentially Maine. Rising above the crashing surf and spectacular rock formations, the Pemaquid Lighthouse is a cultural and historical treasure. This is a place of well-being where women can find helpful service, effective bodycare products from around the globe, and affordably priced unique accessories, clothing, and jewelry. Beautiful Pottery made in Maine, plus unique jewelry, glass, metal, wood items and lighting. This is a lovely store filled with a beautifully-curated selection of paper products, stationary and cards, jewelry, home goods, and children’s toys. Located in the center of lovely downtown Damariscotta and open seven days a week. Two locations showcasing beautiful pottery in many patterns and glazes. Also features home furnishings, many fine lines of locally made jewelry, and other American-made crafts. Fashionable clothing and accessories for women.